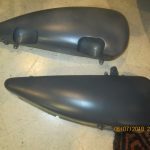 Posted in: Restorations, Uncategorized. 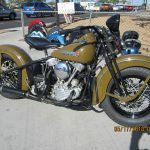 Tagged: JD, Restoration. 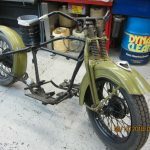 The previous post showed the beginnings of our restoration work on this JD. 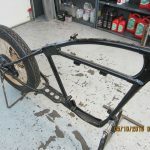 Here is an update on the progress. 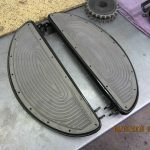 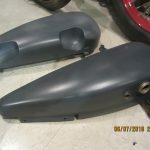 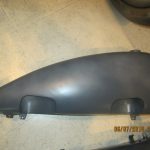 Tanks are primed and ready for paint and finders are on frame. 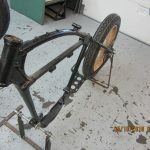 Posted in: Restorations. 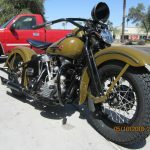 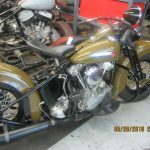 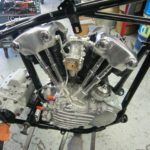 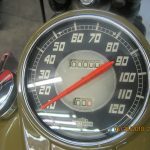 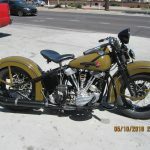 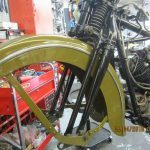 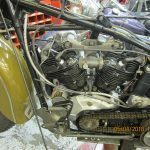 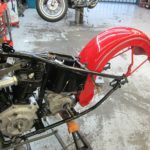 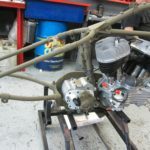 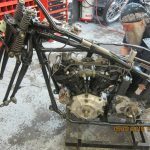 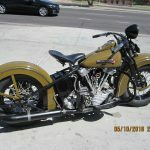 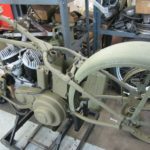 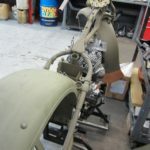 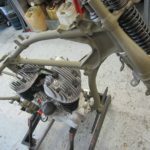 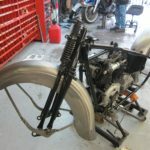 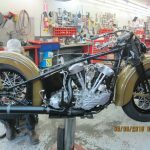 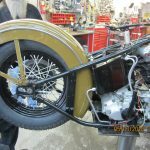 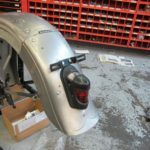 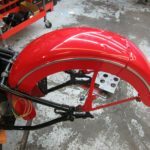 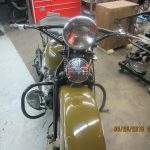 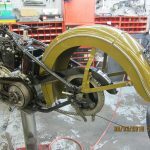 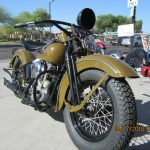 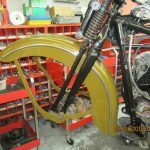 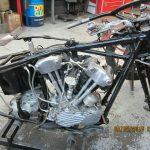 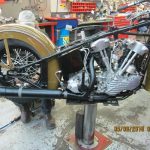 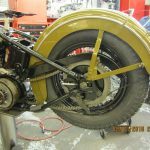 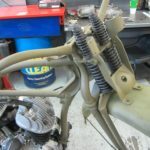 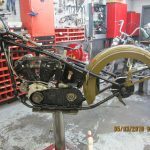 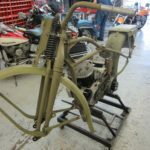 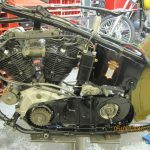 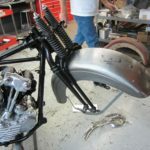 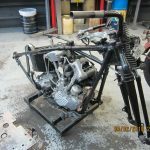 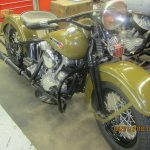 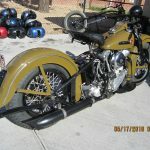 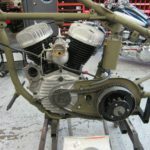 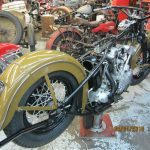 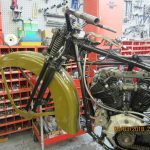 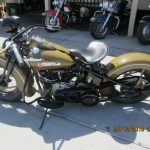 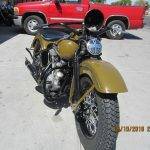 Tagged: Flathead, Military Bike, Restoration. 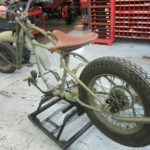 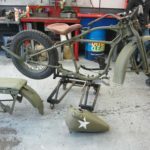 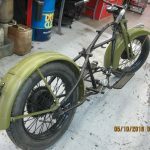 After many months of work, Brad’s 1942 WLA military bike is finally complete. 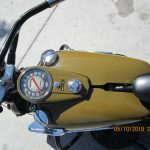 See the final video overview and test-ride videos below. 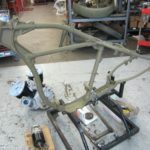 To see the start of Brad’s restoration story, click here. 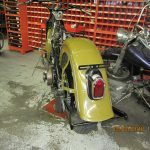 Posted in: Restorations. 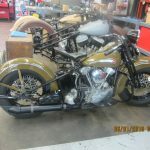 Tagged: Knucklehead, Restoration. 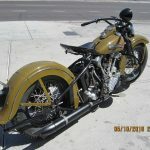 We are restoring this for Larry. 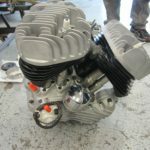 The motor went through start-up already. 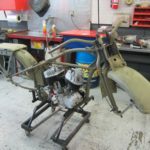 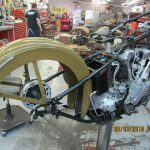 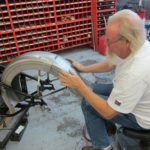 We installed the motor and transmission in the frame and are continuing the restoration process.